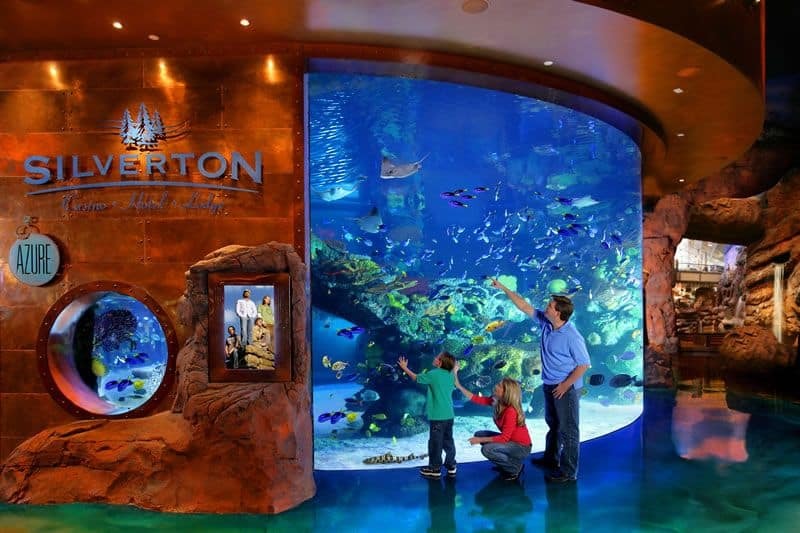 The Mermaid Show in Las Vegas at the Silverton Hotel Aquarium is a unique free attraction for the whole family. 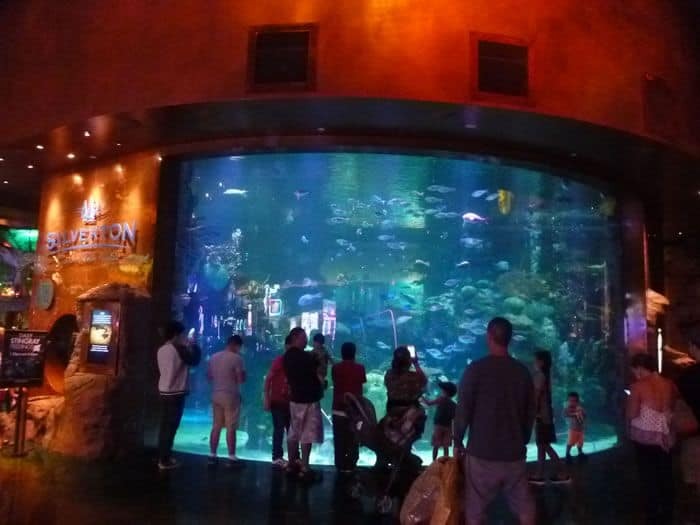 The Silverton Aquarium is a 117,000 gallon tank filled with several thousand fish, stingrays, and sharks in a reef environment. 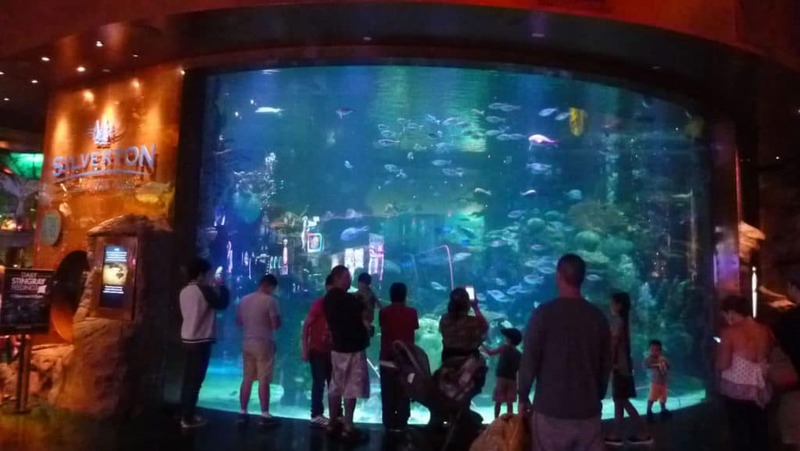 The mermaids swim among the fish multiple times on Thursdays through Sunday. 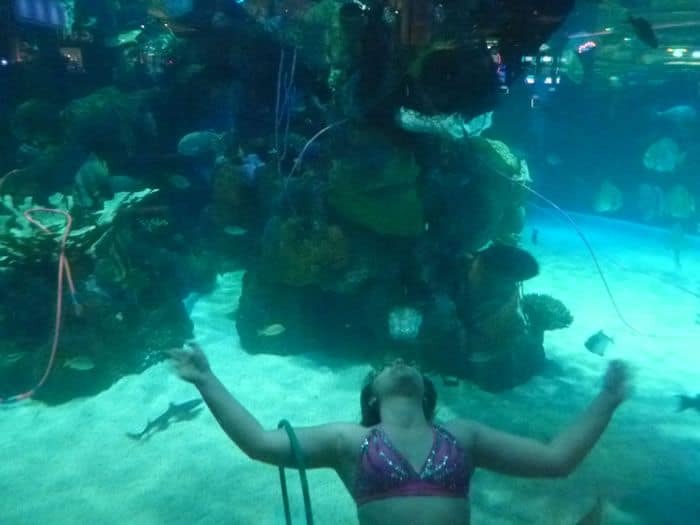 Mermaids will frequently interact with the kids blowing them kisses, posing for photos, and swimming close by the children. 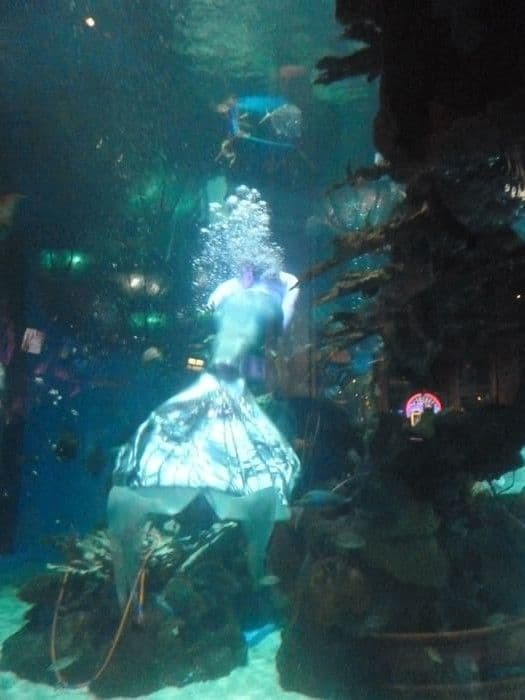 Many of the mermaids are also trained water dancers, swimmers, and can perform stunts and tricks in the water. There are also interactive feeding shows daily at 1:30pm and 4:30pm. 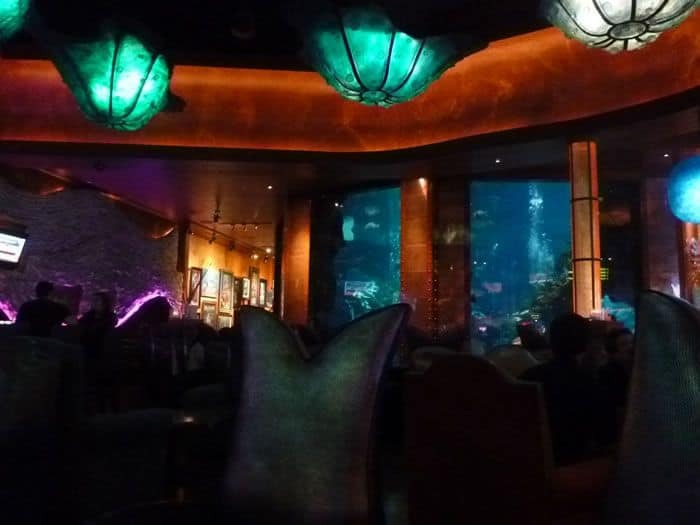 There is a lounge near the Mermaid tank, where you can watch the mermaids and fish swim while enjoying a cocktail.